SLM Aminco XE 450 Electronic Measurements EXLE 500-0336A Power Supply . New Life Scientific, Inc. The power supply was acquired with the SLM Aminco spectrofluorometer that will be sold in individual pieces. This supply includes the attached power cord only. 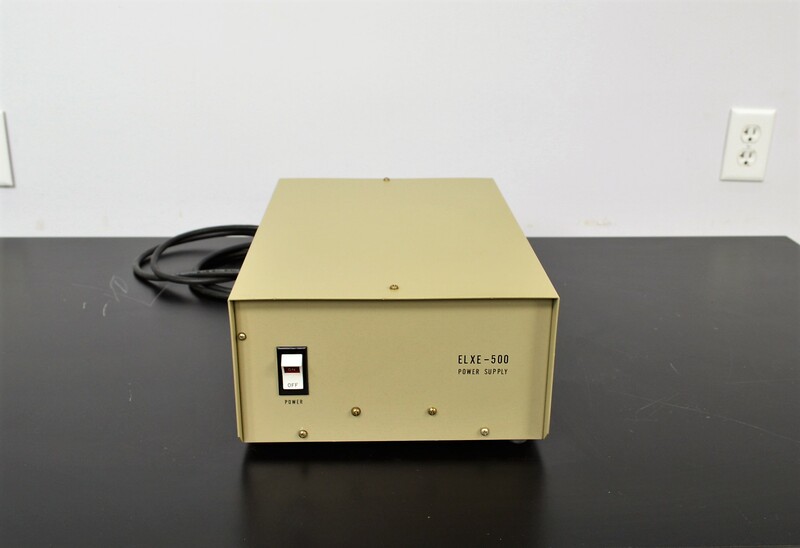 The ELXE-500 power supply is in good cosmetic condition with minimal signs of wear on the body. The technicians powered this instrument on and it appears to work. If the product is powered on without the cross over cables, a loud and visible cross-over spark emits.